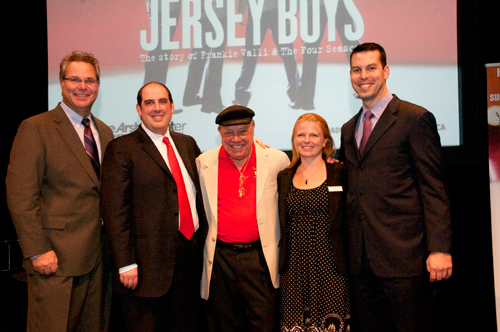 The Adrienne Arsht Center for the Performing Arts is thrilled to have the touring company of the 2006 Tony Award-winning musical, Jersey Boys, on its campus for a three week engagement. This critically acclaimed musical relates the incredible story of how a group of blue collar boys from the wrong side of the tracks became one of the biggest American pop sensations of all time – Frankie Valli and the Four Seasons. Playing from March 2nd through March 20th in the Ziff Ballet Opera House, Jersey Boys brings an electrifying cast to Miami. Go backstage with cast members Matt Bailey, Alayna Gallo, and Quinn VanAntwerp, and find out what they are doing in Miami when they aren’t on stage. 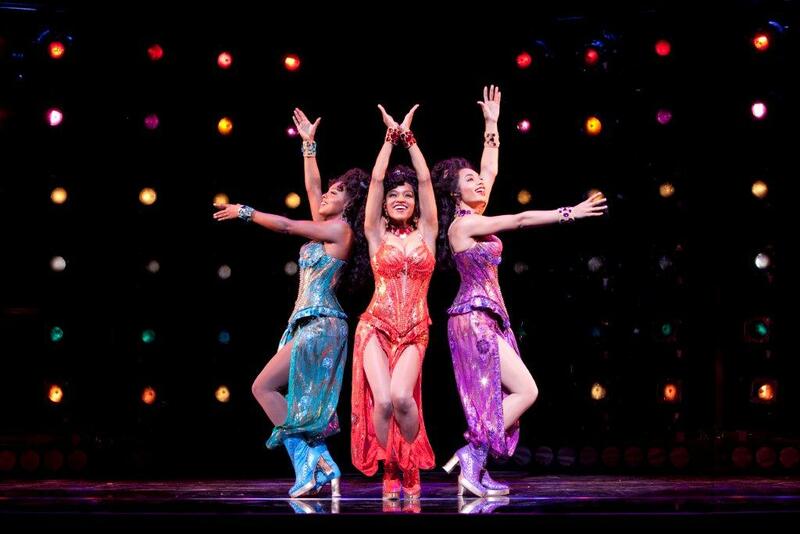 Straight from the world-famous Apollo Theater in Harlem, the smash hit musical DREAMGIRLS made its Miami premiere at the Adrienne Arsht Center last week! Miami native, Florida International University graduate, and “American Idol” favorite Syesha Mercado returned to her hometown in a starring role. Syesha lights up the stage as “Deena,” the role inspired by Diana Ross, later portrayed by Beyónce, and now the perfect vehicle for this stellar Floridian musical performer! We asked Syesha to riff on “Idol” vs. Broadway, coming home to Miami, and stepping on stage in this famous role. Here are a few thoughts from our hometown star! POV: What is it like to go from competing on “American Idol” to touring with this production of Dreamgirls? Syesha: It’s been a wonderful transition. I’ve taken all of my experiences from ”Idol” to this show. Broadway requires a lot of discipline and “Idol” sure did teach me what that means! POV: How does it feel to come back to Miami to perform for your hometown audience? Syesha: It’s always good to be back home. This will be the first time fans get to see me in a theatrical production. I’m thrilled! POV: What has been the hardest part of playing Deena? The most exciting? On Monday, August 20th, a hand-picked group of more than 200 Broadway enthusiasts were greeted with a little slice of Jersey … Jersey Boys, that is. Three members (Matt Bailey, Alayna Gallo and Christopher Deangelis) of the touring company of the Tony Award-winning Jersey Boys took the Carnival Studio Theater by storm as they gave a behind-the-scenes, sneak preview of the upcoming musical that will be hitting the Ziff Ballet Opera House stage from March 2-20, 2011. South Florida’s “Voice of Rock’n’Roll”, Rick Shaw, who apparently knows the real Frankie Valli and the Four Seasons, was on hand to interview the lead actors in the musical. Guests were entertained with special live performances as well as some delicious, traditional Italian fare that included pasta, pizza, and cheese cake on a stick! Among the many VIPs in attendance were press, group leaders and our very special Marquee Members, a new membership level at the Adrienne Arsht Center that is centered around our Broadway in Miami subscribers. Marquee Members’ benefits include exclusive access to our members-only Patrons Salon before every Broadway performance as well as one cast party for the Broadway performance of their choice. With all that, our Marquee Members kick started their Broadway season with an all-access invitation to experience Jersey Boys unlike ever before… proof that members really are at the center of it all! Members of the Adrienne Arsht Center staff attended the annual Broadway League Conference in May 2010. There were more than 500 attendees from NYC and around the country, including producers, press agents, artistic directors, booking agents, and marketing professionals. The conference included four days of workshops that focused on the latest marketing trends, outreach initiatives, as well as negotiation and industry trends. Presentations were made and events were hosted by Broadway’s biggest and most promising new shows, including Tony-nominated Memphis, Million Dollar Quartet, Fela, and American Idiot. Historically, shows that have done well at the Tonys (coming up this June 13th in NYC, and broadcast on CBS) go on a national tour. The Center’s team worked throughout the conference to establish and build relationships with industry influencers to ensure that the best shows come to Miami every year. 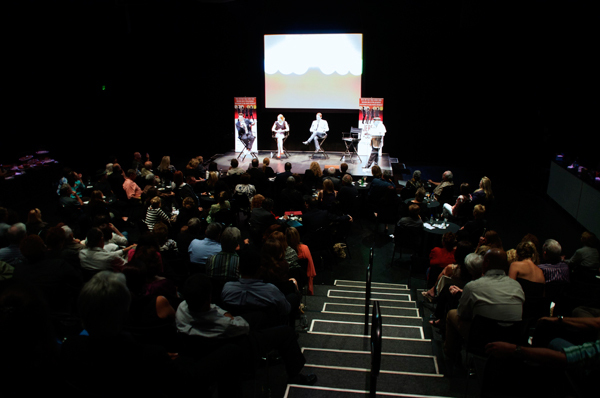 Following an enormously successful Broadway in Miami season for 2009-2010, industry leaders at the conference were all ‘abuzz’ about the reemergence of Miami as a major Broadway market, and the producers were lining up to speak to the Center’s programming team about their show’s tours for future seasons. 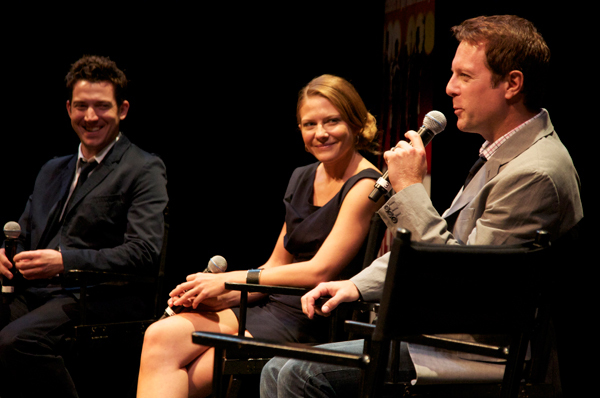 The 2010-2011 Broadway in Miami Season was announced in April—a video preview can be viewed here. As a musical-theater obsessed teen in Miami, I remember sitting in my friend’s car in December of 2006 singing the songs that later became part of my life. A trip to New York in the spring of 2007 followed my curiosity for this show. As an 8th grader I had never seen anything so electrifying on stage in my life. When I heard Spring Awakening was coming to Miami, I knew I wanted to be part of the experience. “The Guilty Ones” (G.O.) -as they called themselves—are a group of Spring Awakening fanatics in every city that helps promote the Tony Award-winning show. I went to the first meeting not really knowing what it was all about. I made an impression on Crystal Chancellor (Promotions Manager) when I showed my enthusiasm for the project. Telling Miami about this great show was a lot harder than I thought, but the one group that I knew would connect with this show was of my peers and my fellow teenagers. Raising points to get a lot of “junk” was not my intention of being a G.O. Bringing an audience to that theater was my main goal. As I became a top Guilty One, Crystal asked me to come in a couple of times a week to help with the project. I was so excited to begin working at the Adrienne Arsht Center, even if it was for 3 hours a week. Leaving school at 3:45 and running to the metro mover and again to the theater was a mission I embarked on everyday to bring this show to as many people as I could. Making phone calls, emails, letters, and collecting fellow Guilty One’s points was part of the challenge. 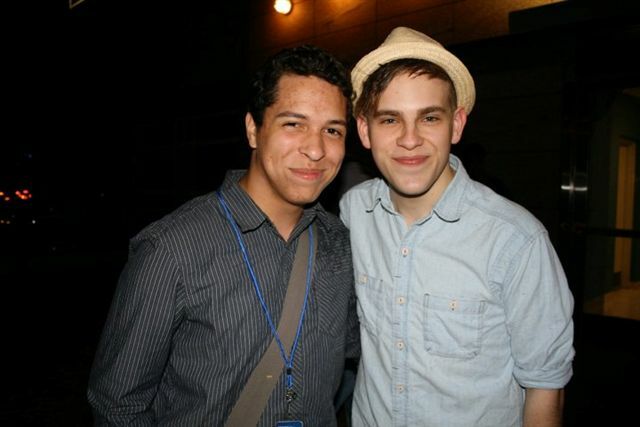 (L-R) Victor Legra with one of the cast members of Spring Awakening. May 11th was coming very close and I could not wait to see the show live again. Hearing the music again brought me comfort knowing that this show lives on as clean and crisp as the first time I saw it, with a fresh new exciting cast. Opening Night was another experience of its own. After the show I was invited with a few of my friends to the opening night cast party. The night started off slow with guests arriving to the party. Once the cast and crew came in, the party began. With a few of us singing karaoke and dancing to Beyoncé’s “Single Ladies”, the night was a success. I had a blast with the cast during this once-in-a-lifetime opportunity. Working as a Guilty One has been a thrill and a pleasure. Everyone at the Adrienne Arsht Center has been very supportive with my work and I hope to work with everyone very soon. 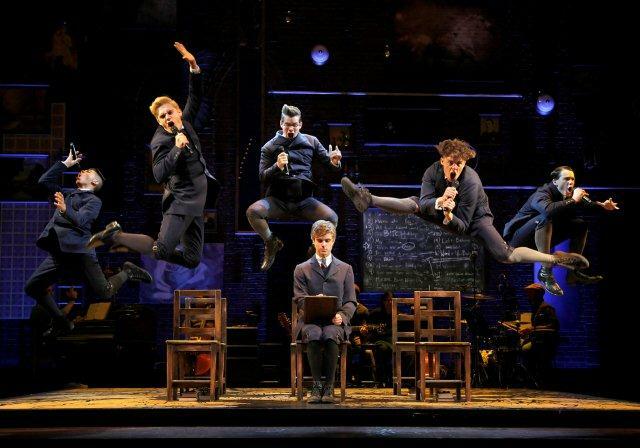 Broadway’s hit musical Spring Awakening has captured the hearts and minds of an entire generation of young theatergoers like no other musical since Rent. And as a result, a group known as the The Guilty Ones, comprised of the show’s most ardent young fans, has sprung up in every city the show has played, with a mission to spread the word about the show on their own. The Miami Guilty Ones organized last month, made up mostly of teenage girls and boys, ages 14 through 18, from high schools, colleges and theater companies across the state of Florida. As the Spring Awakening Miami engagement approaches, the Miami Guilty Ones has become the Adrienne Arsht Center’s official fan club and street team of guerilla marketers on behalf of the musical. In fact, the Guilty Ones are key to the show’s viral campaign: posting online blogs, bulletins and banners, sending ecards, and emails – lots of emails. 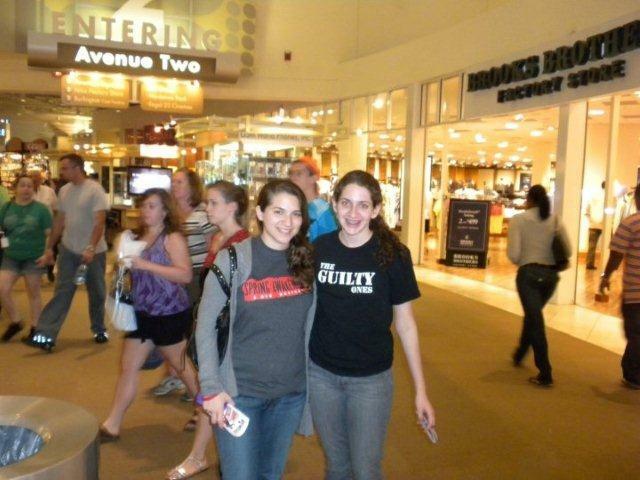 Our Guilty Ones also distribute Spring Awakening flyers at area shows and events, as well as help with group sales. And it’s set up as a contest among the group members to see who can help their favorite show the most. The more each Guilty One helps promote the show, the more great prizes he or she receives – exclusive stage seats, show tickets, meet & greets with the cast, after parties, signed posters, tee shirts and more. The coveted stage seats are the ultimate reward for any Spring Awakening fan because it places them right in the middle of the action, on stage with the cast, experiencing the audience and musical just as the cast members do. Opening night of MAMMA MIA! was truly a celebration as the cast of the beloved Broadway show and more than 50 Broadway in Miami subscribers and members enjoyed delicious baklava and a slice of wedding cake, while mingling with the cast and crew. Have a look at our “wedding reception” for MAMMA MIA.